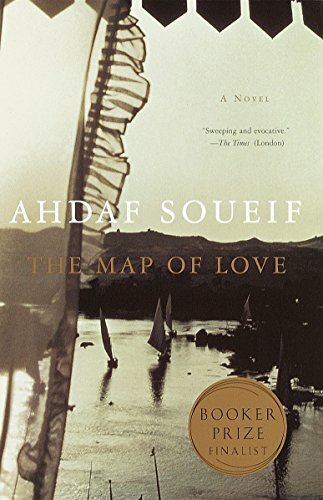 From the back cover: "Spanning three continents and the course of a century, "The Map of Love" traces a cross-cultural love affair back to its dramatic precursor generations earlier." This was a beautifully written book, written from the perspective of an American woman in the early 1900's, who loved Egypt and its people, and from the perspective of a modern day Egyptian woman. There is a century of Egyptian history and politics intertwined with these two love stories. I am now more interested in Egypt, both culturally and politically. Gave to eicuthbertson, who chose it out of my Two Worlds virtual bookbox. Enjoy! Thank you. This sounds very interesting. I'm sure I will enjoy it. Goodness, I've had this book a long while. Reread over New Year's. Like it still. Will leave on the bookshelves in the main floor hall.